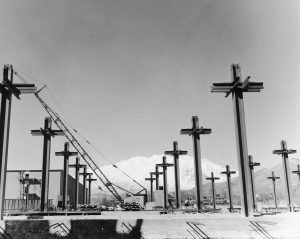 Giant structural-steel crosses mark the start of the J. Reuben Clark Jr. Library, which was completed in 1961. In 1973 BYU’s new law school was named after Clark, and the library was subsequently renamed for Church president Harold B. Lee. The Harold B. Lee Library isn’t just for book lovers—it’s for musicians, designers, and film junkies, too. As we strive to become like Christ, our talents, experiences, and even quirks will remain with us. Did you know the Karl G. Maeser statue wasn't initially placed outside the Maeser building?